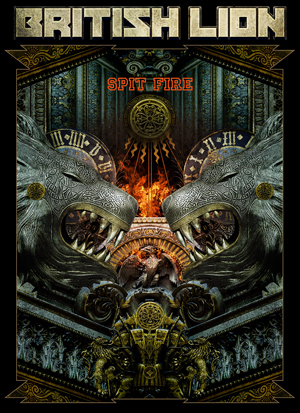 BRITISH LION, the side project of IRON MAIDEN's Steve Harris, have published a studio version of their track “Spit Fire”, which was part of their live set on previous tours. According to the band's website, the song will also feature on the band's long-awaited second studio album, which is to be released in 2019. Check out the track streaming below.